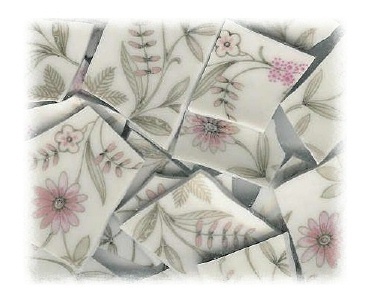 40 tiles from Franconia Krautheim KEA china plates. Pink roses, pink flowers, gray leaves on white china. All non-rim tiles. No discoloration, no crazing, lay flat. Tiles average approximately .875" wide.